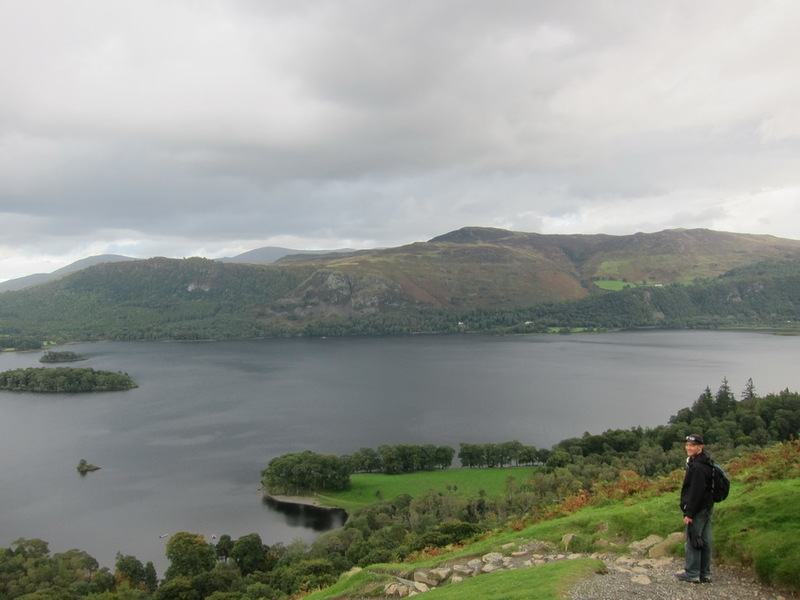 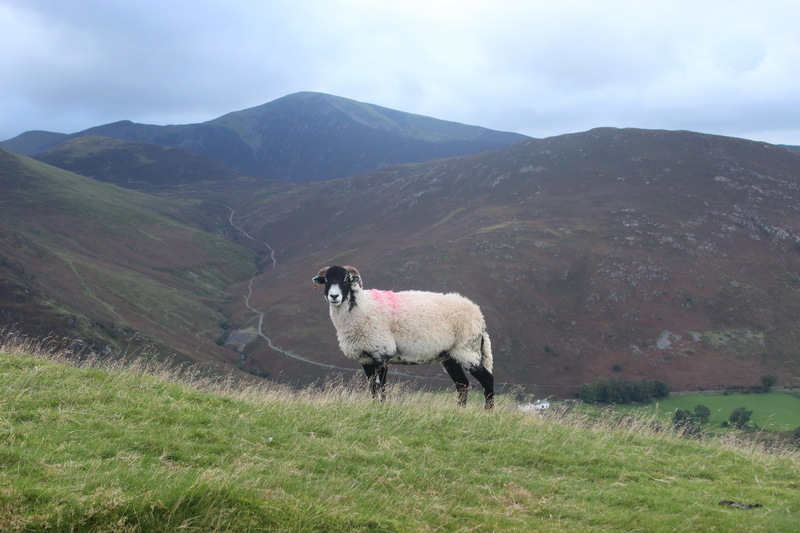 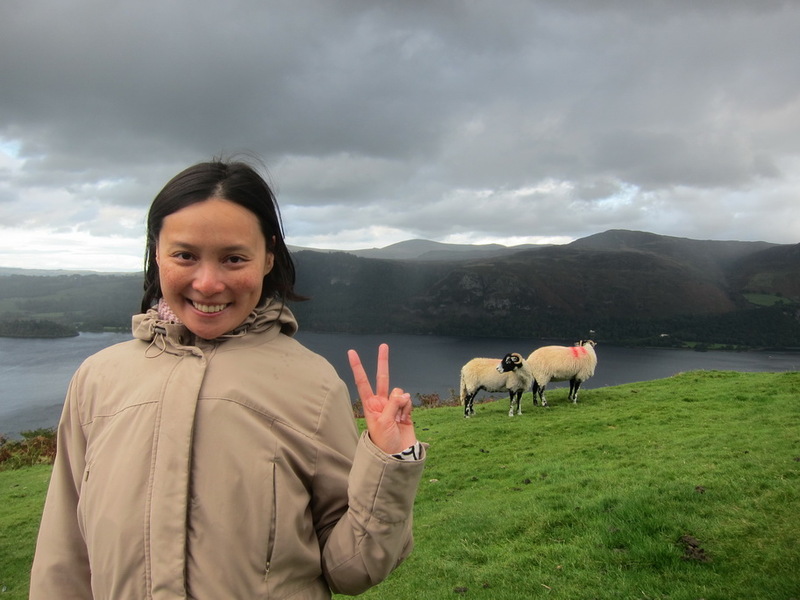 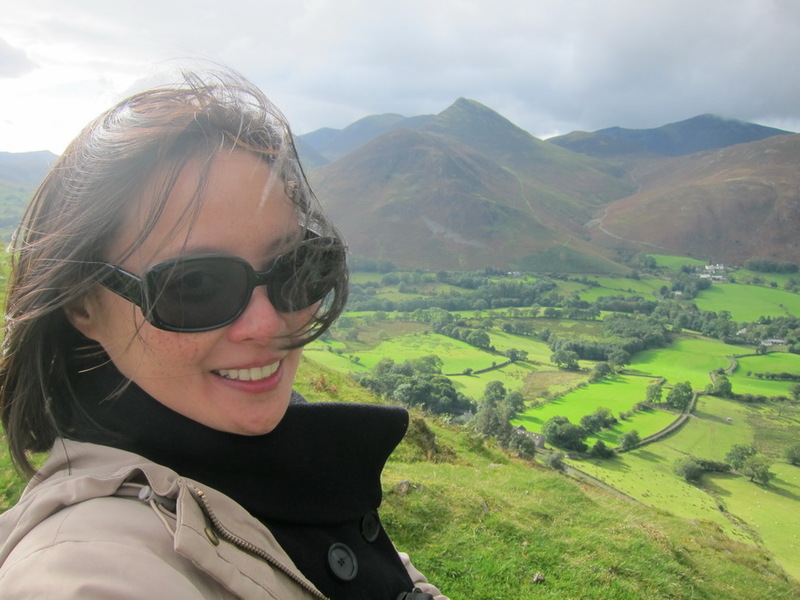 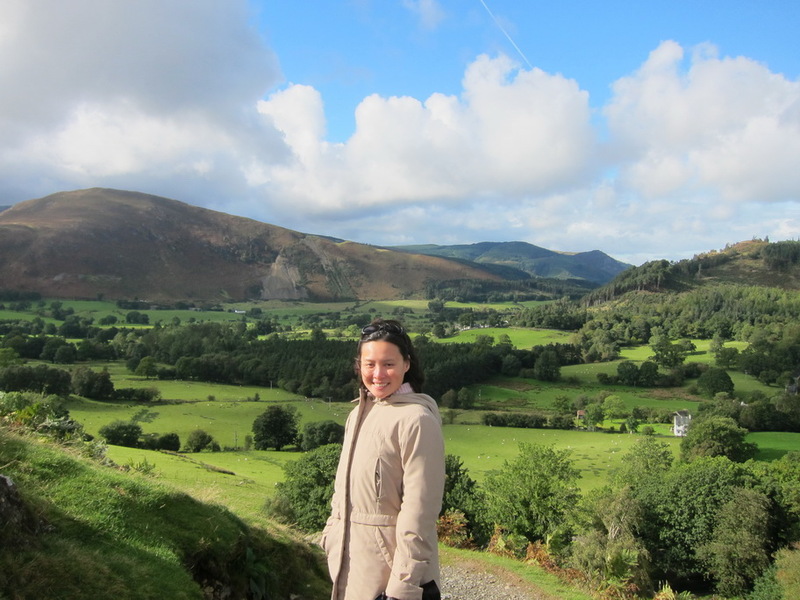 After staying in Windermere for one night, Mr. Selfish and I went to Keswick, which is deep within the Lake District. 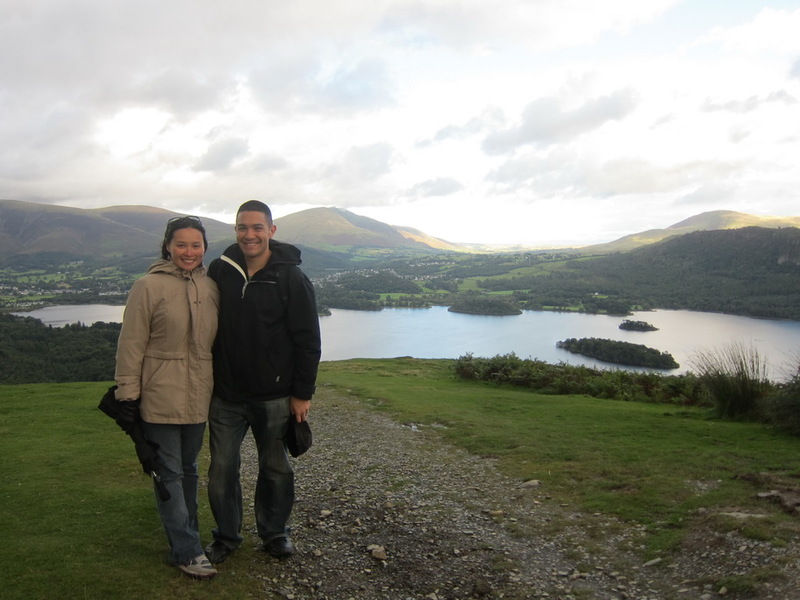 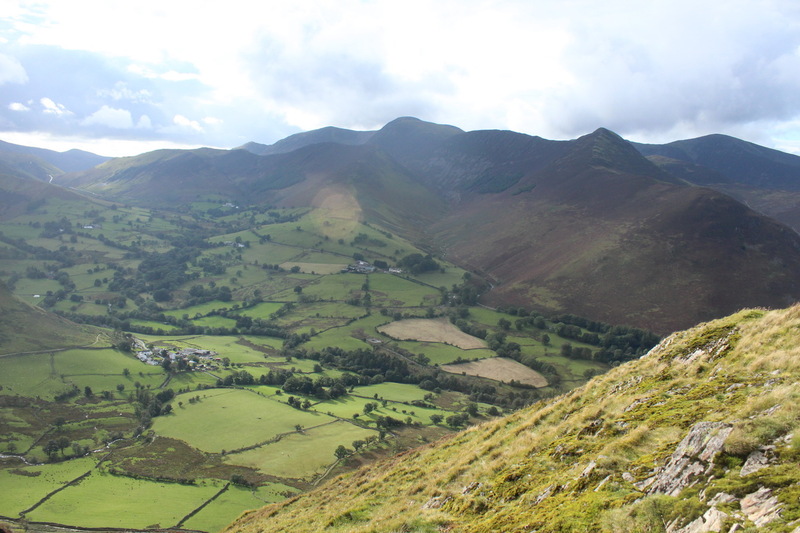 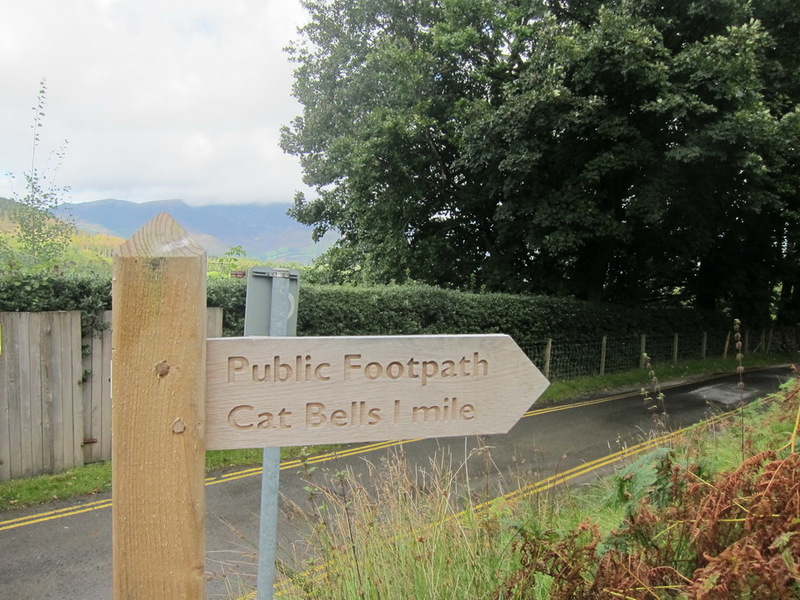 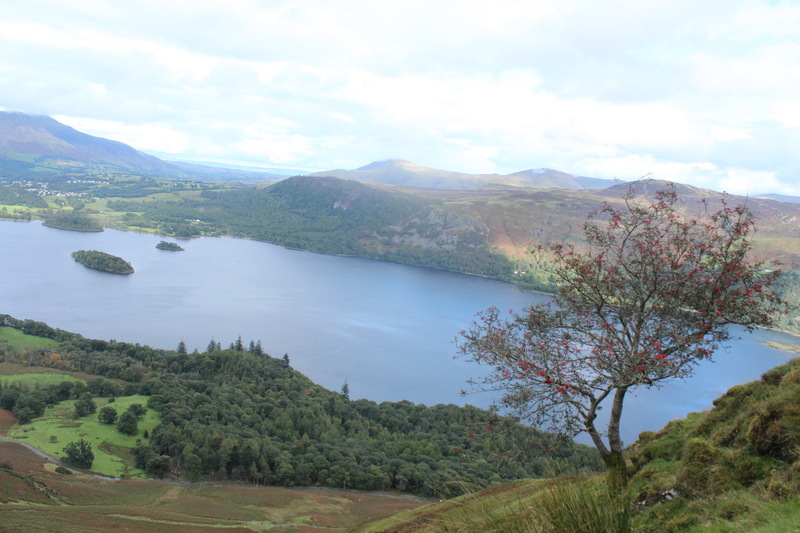 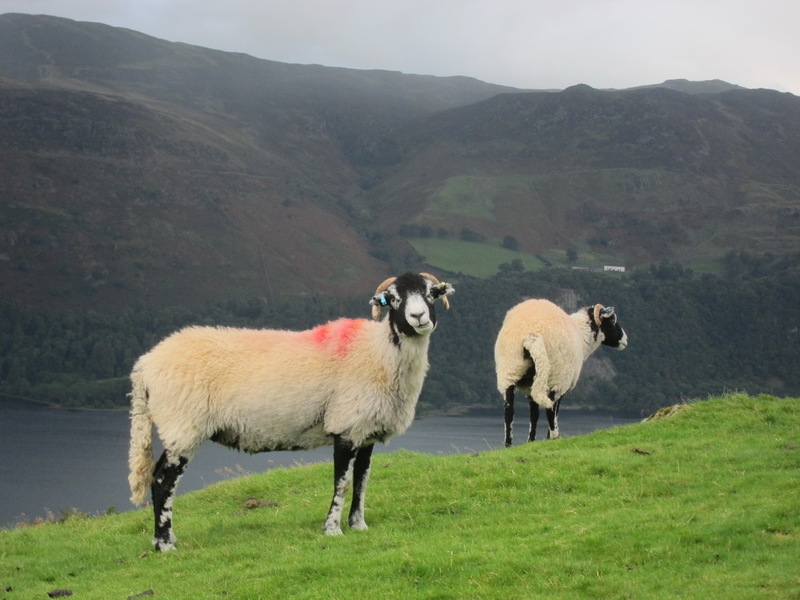 We decided to climb the Catbells, which is a 1,480 feet tall fell. 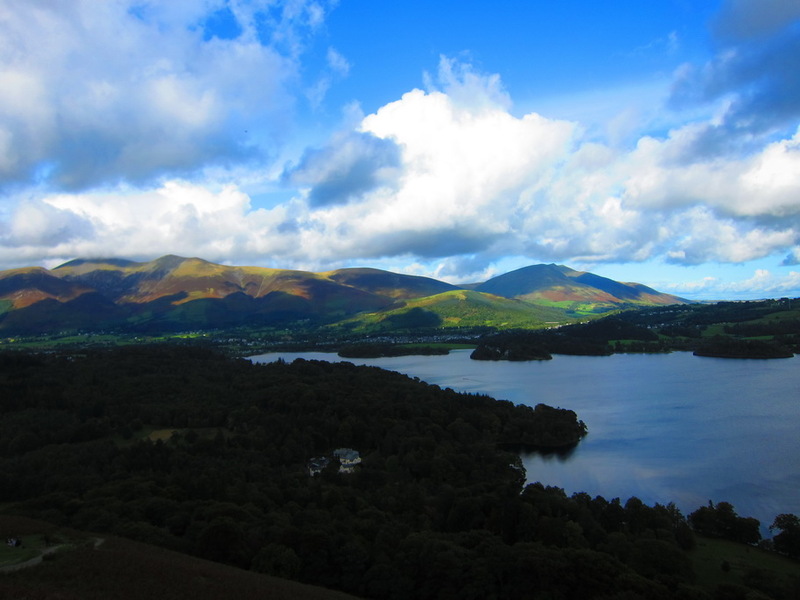 From the top, you can get a wonderful view of Derwent Lake. 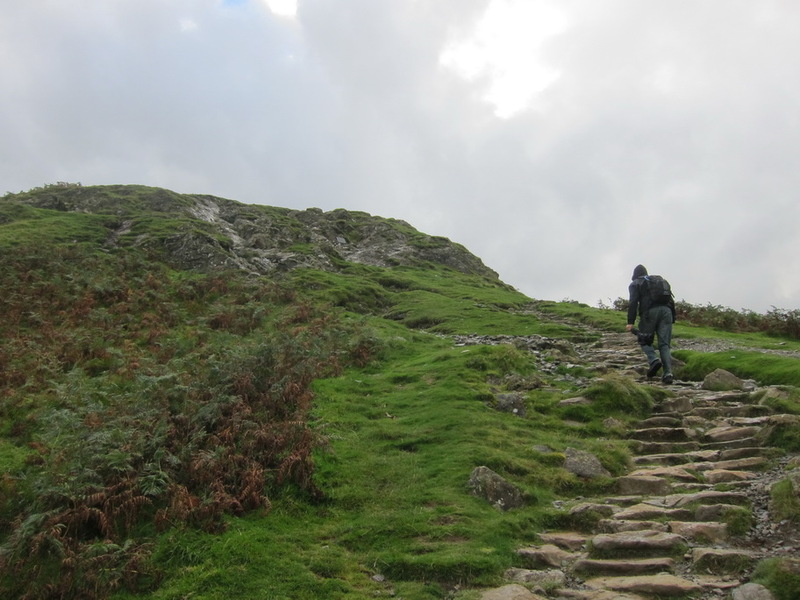 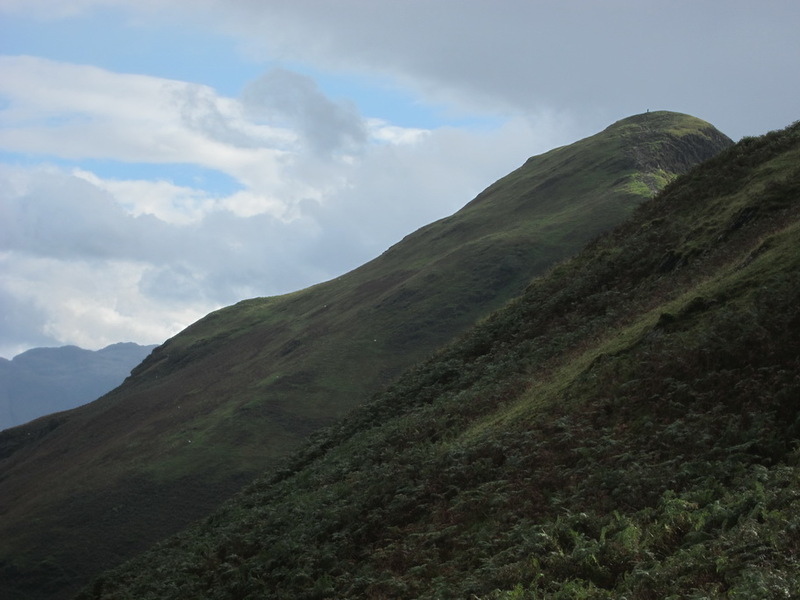 It is a rather steep and sometimes slippery climb, but definitely worth hiking. 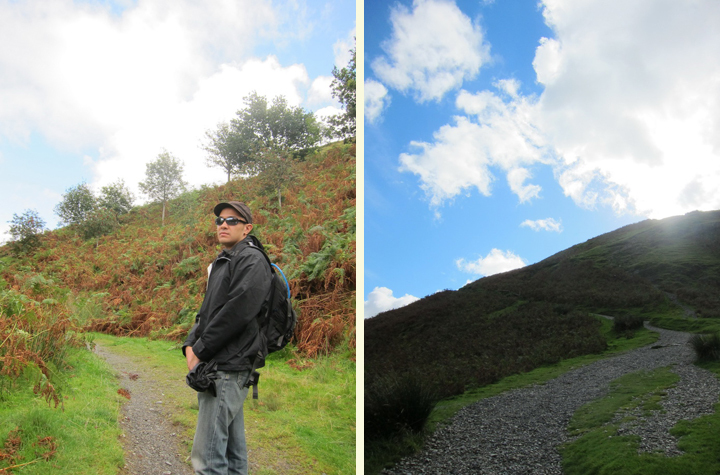 Per our usual custom, Mr. Selfish continued the climb to the top, and I read my Kindle . 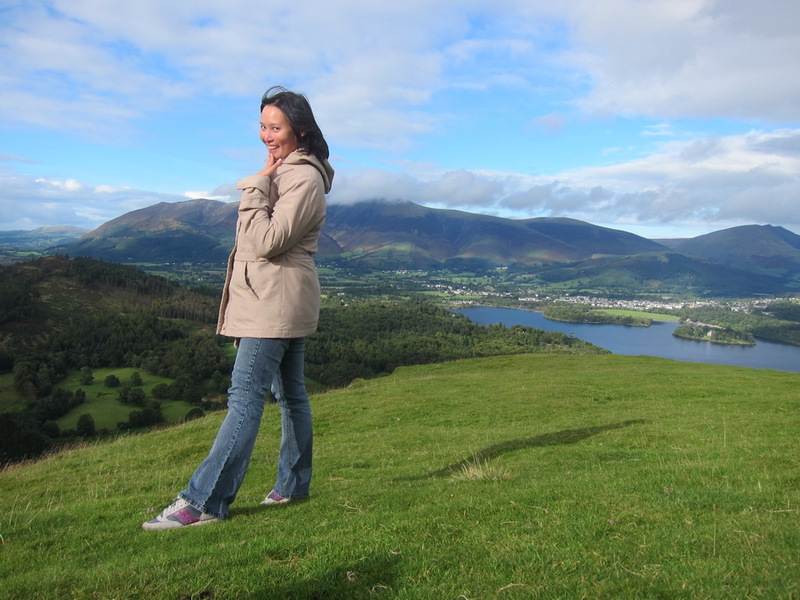 I also took some photos with my camera on self-timer. 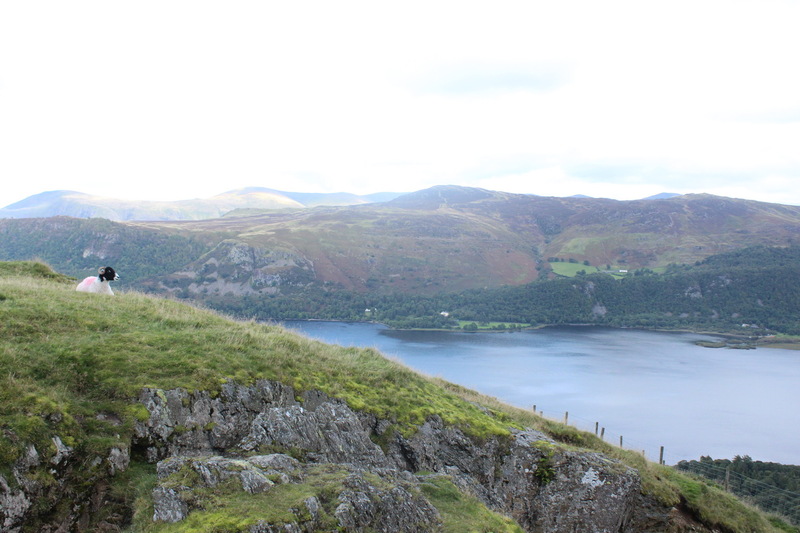 The shots by Mr. Selfish from the top are much better – I assure you. 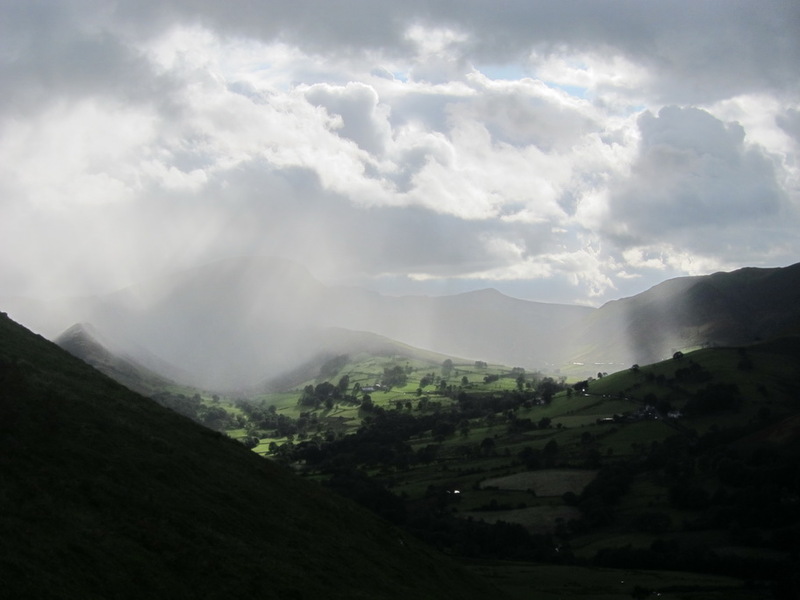 By the time Mr. Selfish came down, the storms started rolling in. 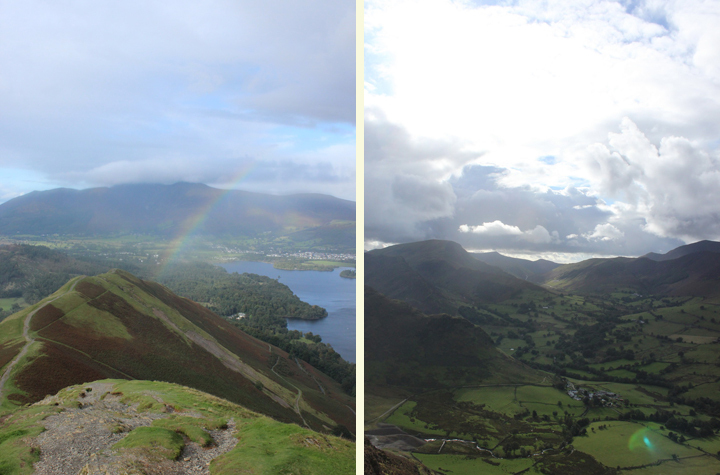 We quickly made our way down – even though we stopped to take a few more photos. 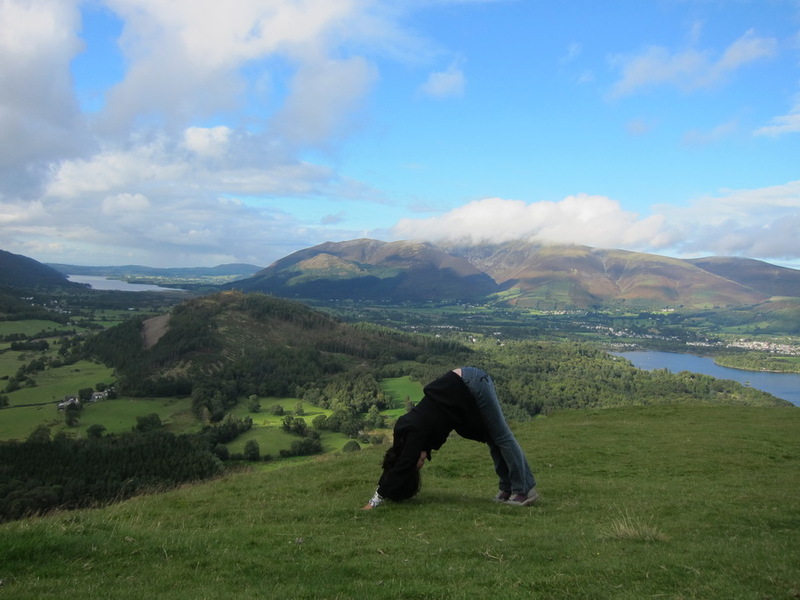 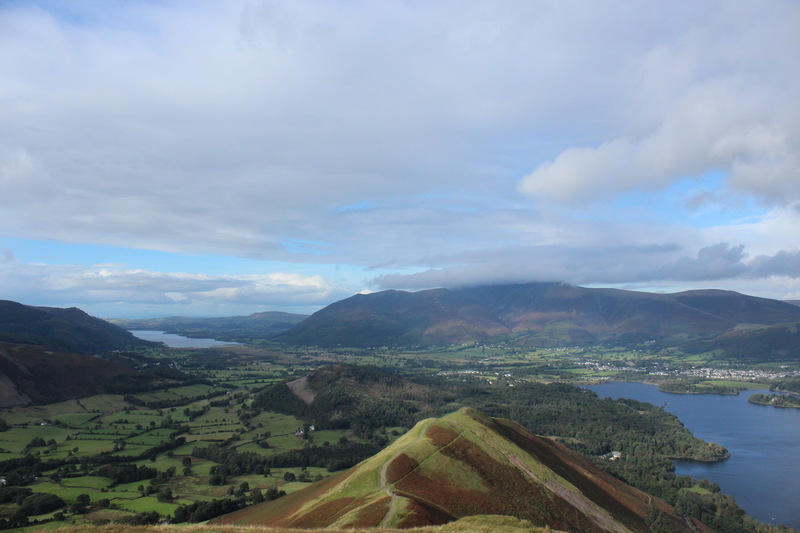 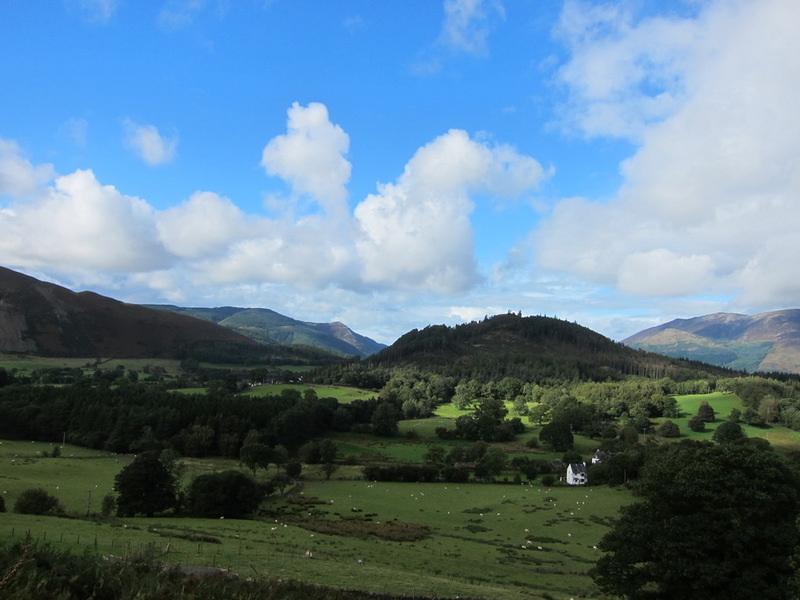 I don’t know about grandmothers and infants climbing the whole mile up the Catbells, but it was certainly pretty.